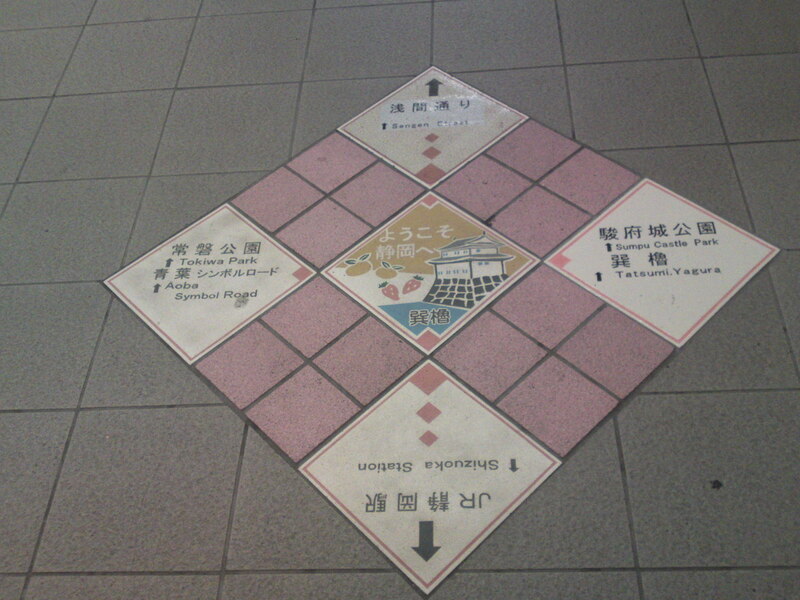 A direction guide pavement sign just before entering Shizuoka JR Station! 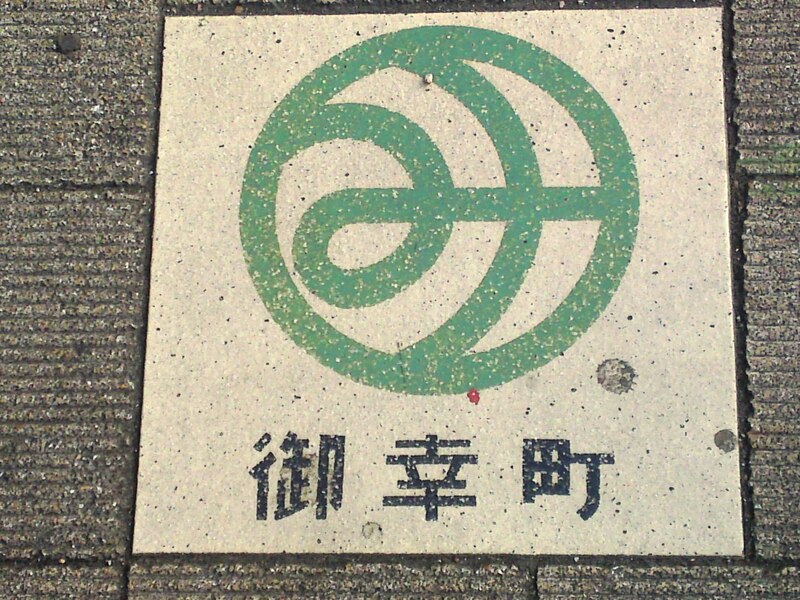 Cities in Shizuoka, and I’m sure in many cities in Japan have an interesting, artful and subtle way to advertise their tourism as well as to introduce their many symbols: pavement signs! 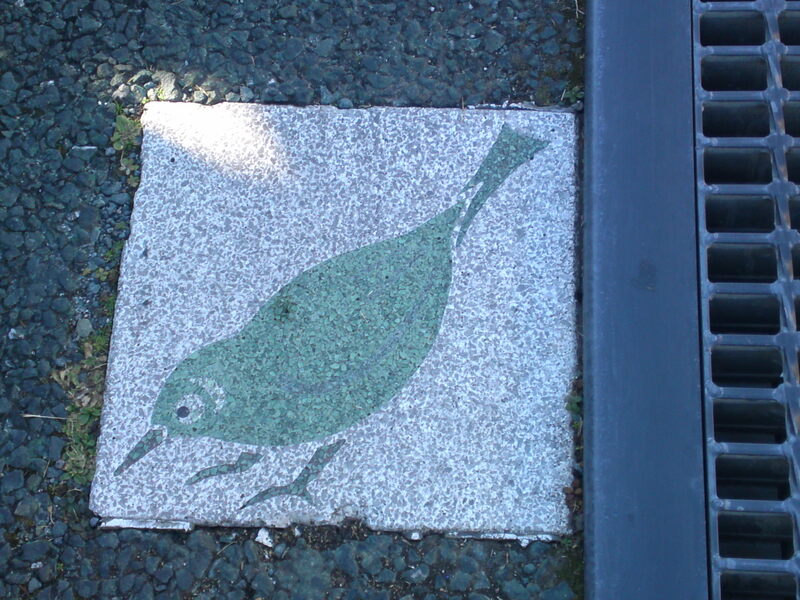 I can guarantee you it could develop into another urban art photography album! 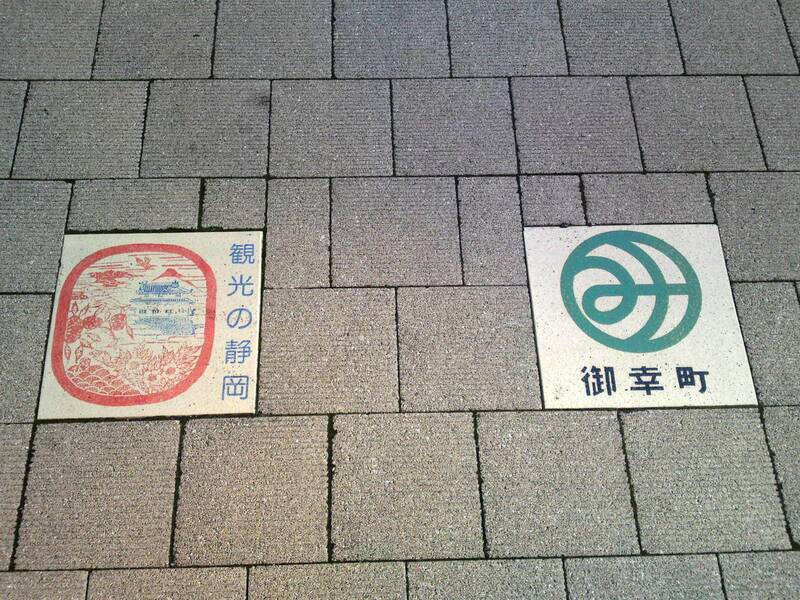 You will find those two signs together in Miyuki Street, Aoi Ku, Shizuoka City! 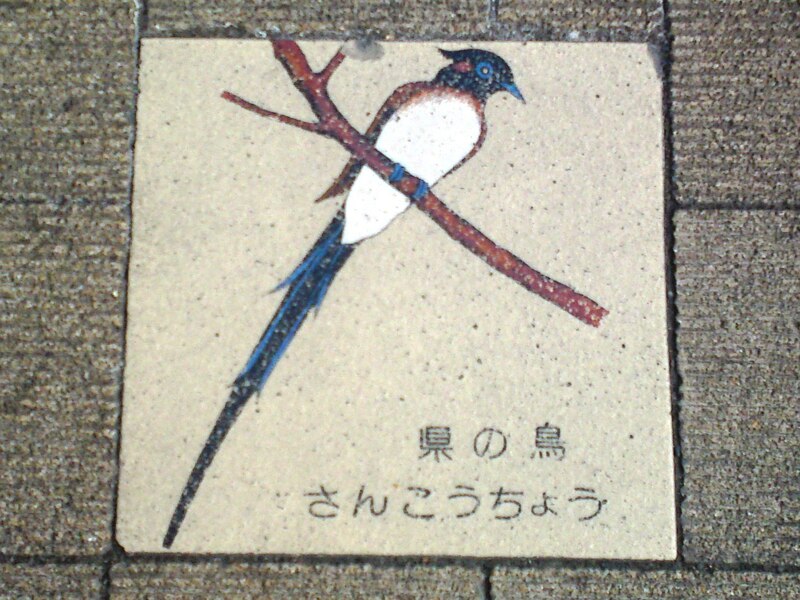 Shizuoka Prefecture symbol bird, “Sankochou/Paradise Fly Catcher”! 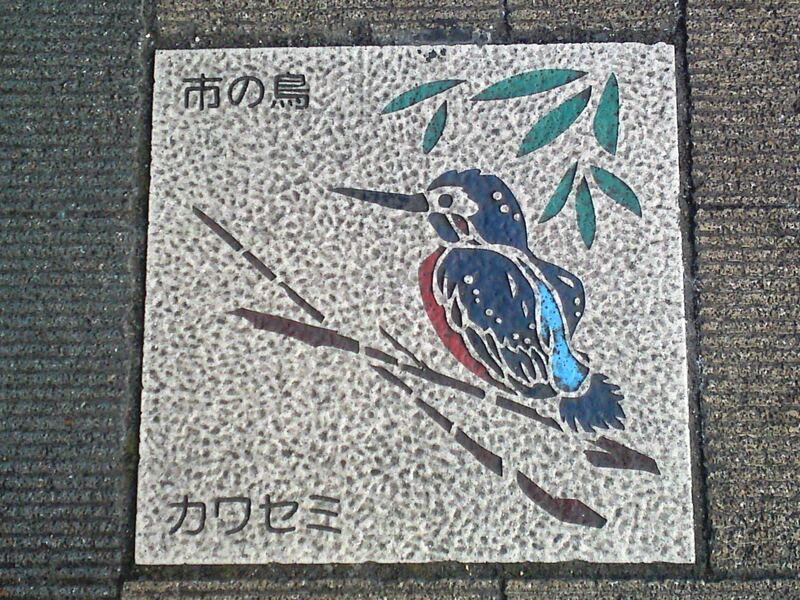 Shizuoka City symbol bird, “Kawasemi/Kingfisher”! 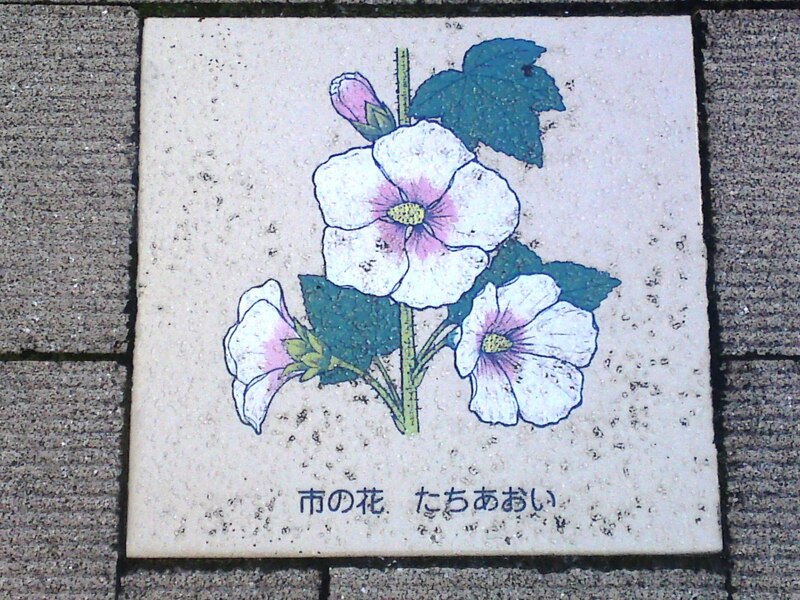 Shizuoka City symbol flower, “Tachiaoi/Hollyhock”! 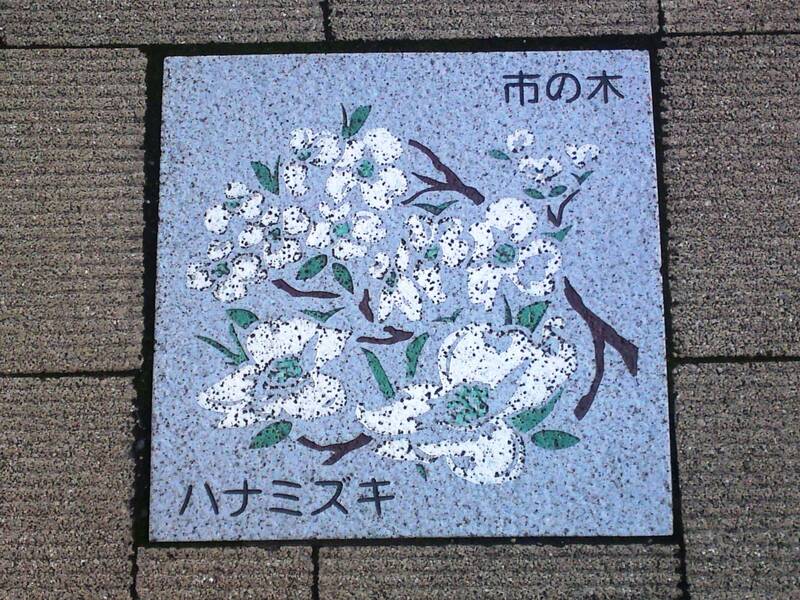 Shizuoka City symbol tree, “Hanamizuki/Flowering Dogwood”! 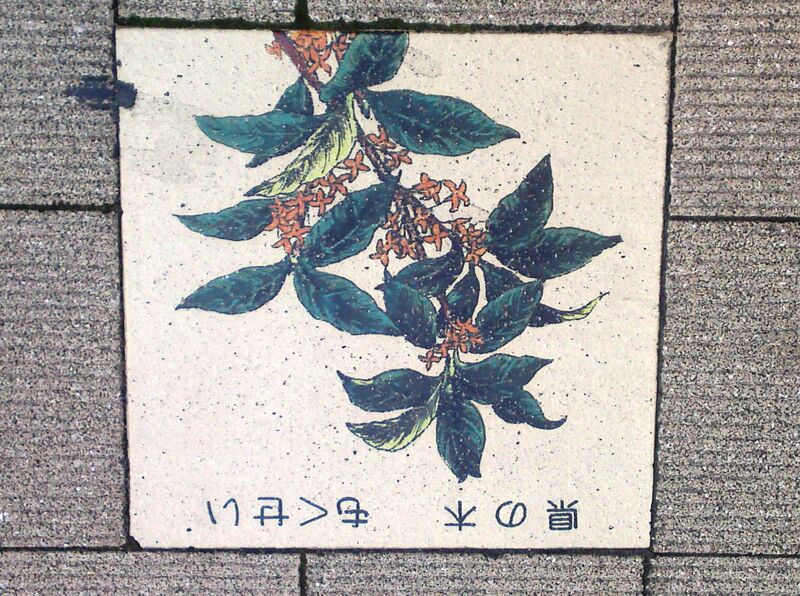 Shizuoka Prefecture symbol tree in Miyuki Street, Aoi Ku, Shizuoka City, “Mokusei/Fragrant Olive Tree”! 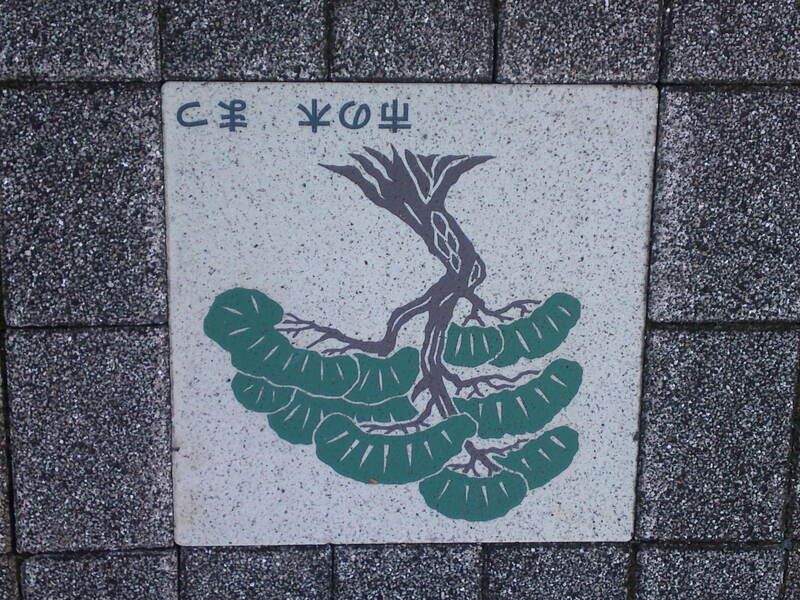 Shizuoka City does not seem to agree on its symbol tree as demonstrated in Komagata Street, Aoi Ku, Shizuoka City, “Keyaki/Japanese selkova! 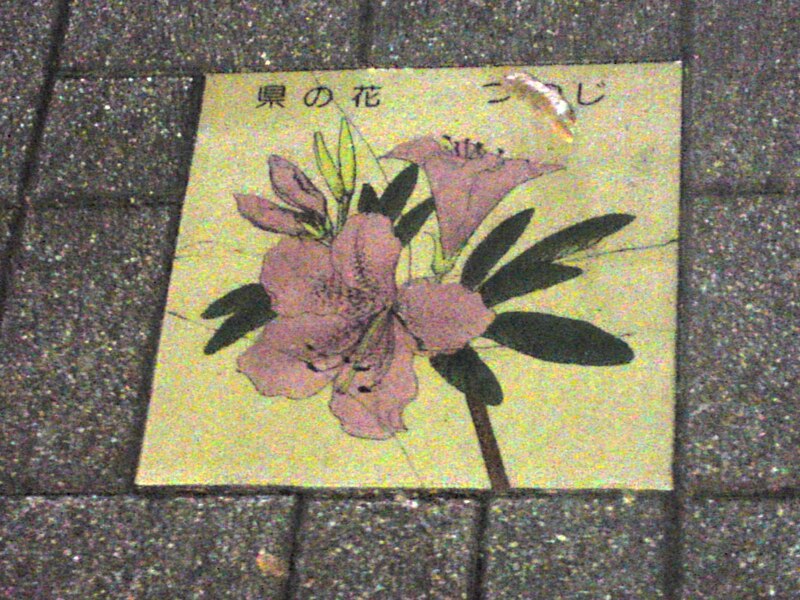 Yaizu City symbol flower, “Satsuki/Satsuki azalea or Rhododendron indicum”! 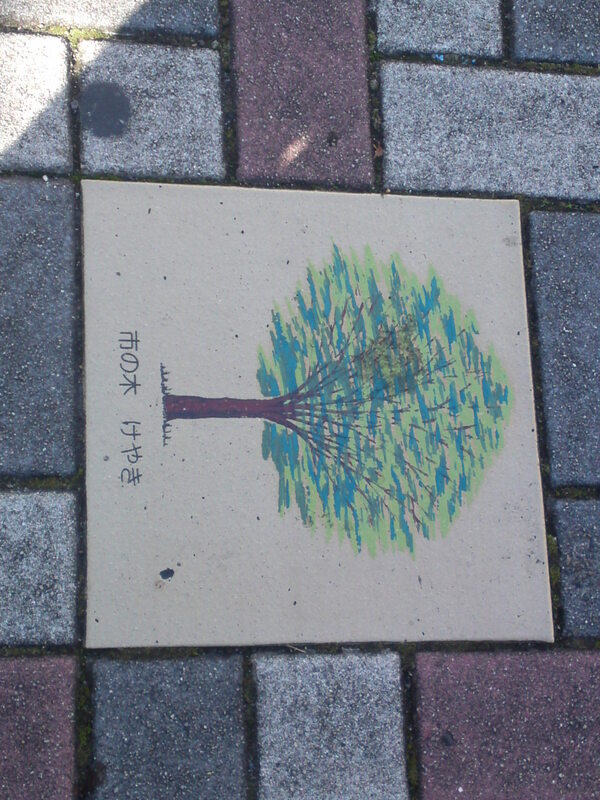 Yaizu City symbol tree:”Matsu/Pine Tree”! 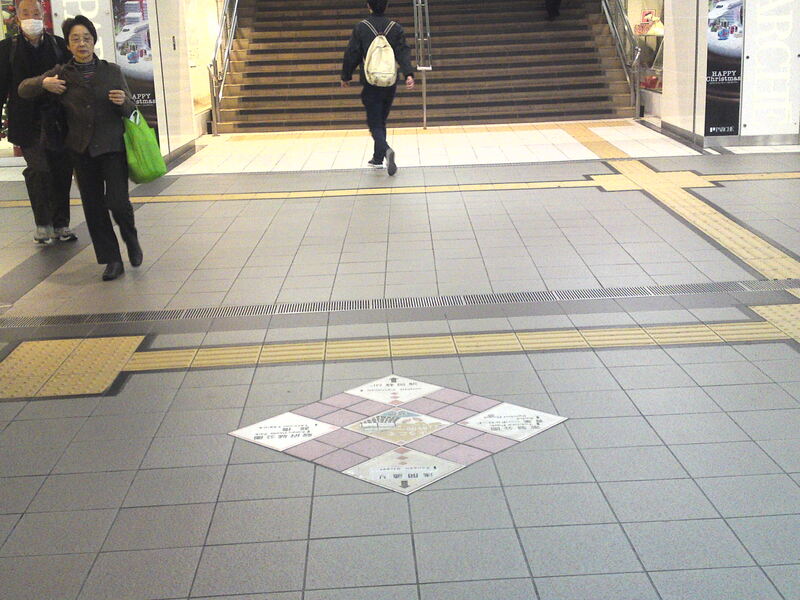 You will this multiple tile sign on the basement pavement leading to the Shizuoka JR Station elevator! 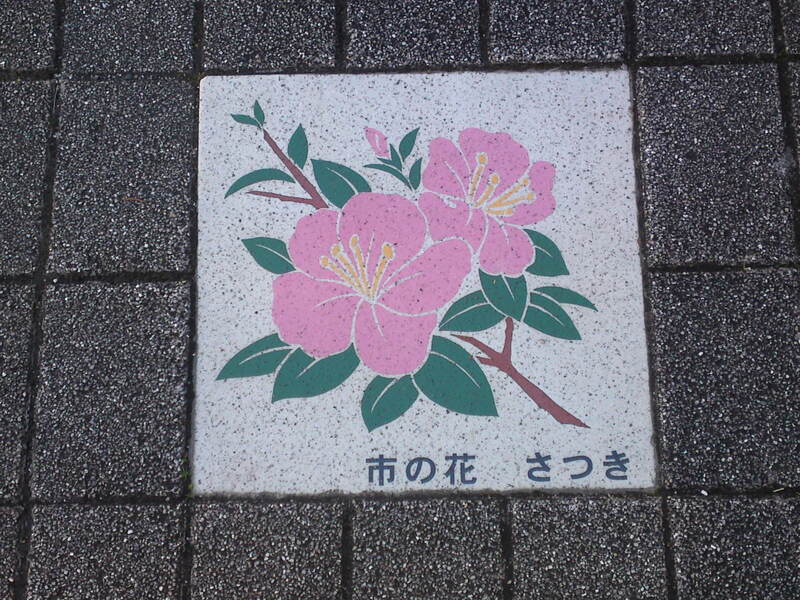 Now, what does it say? 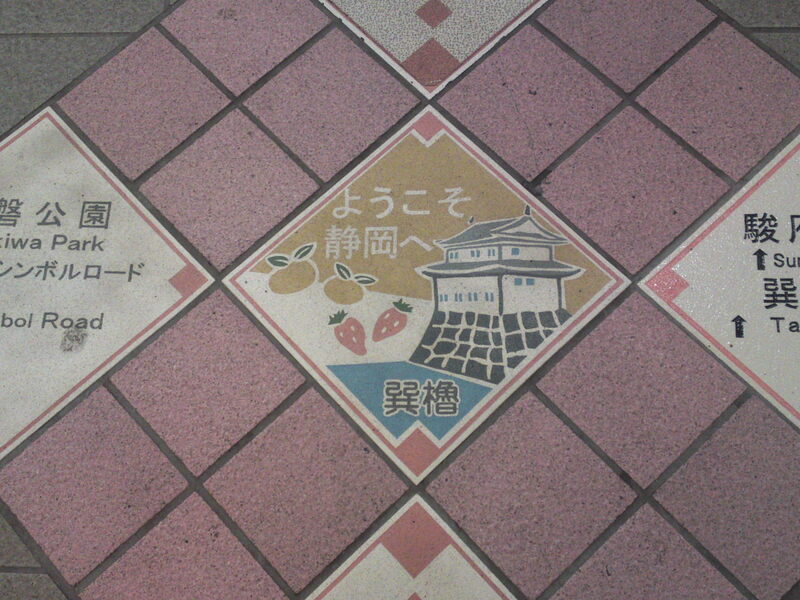 Note the oranges and strawberries which Shizuoka is famous for! 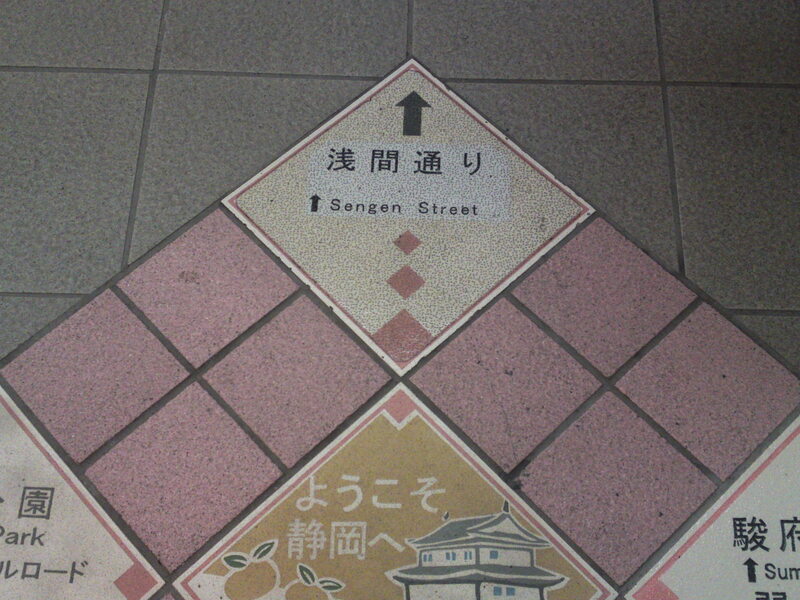 The kanji in the middle stands for “Tatsumi-yagura”! 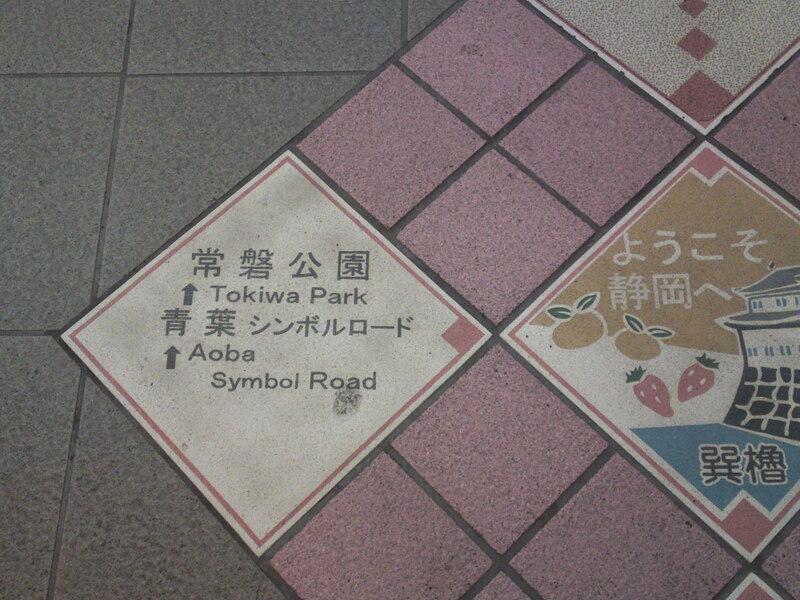 Direction to Tokiwa Park and Aoba Symbol Road! 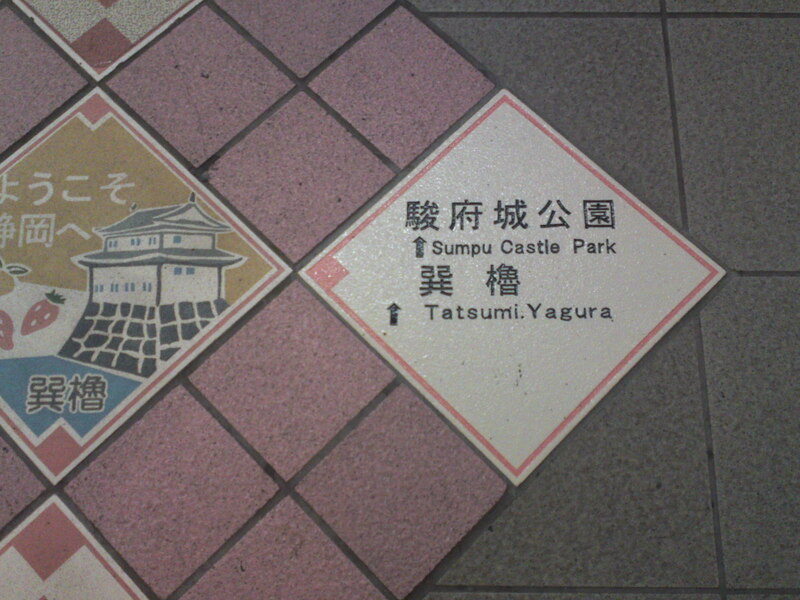 Sumpu Park was originally the location of the castle of Tokugawa-Ieyasu. 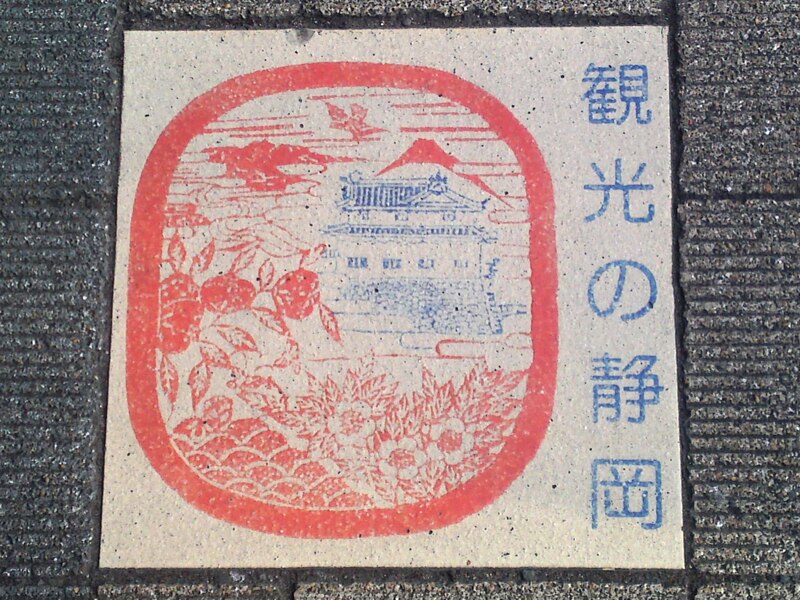 Tatsumi-yagura (rebuilt to celebrate 100 year history of the City of Shizuoka　in 1997). 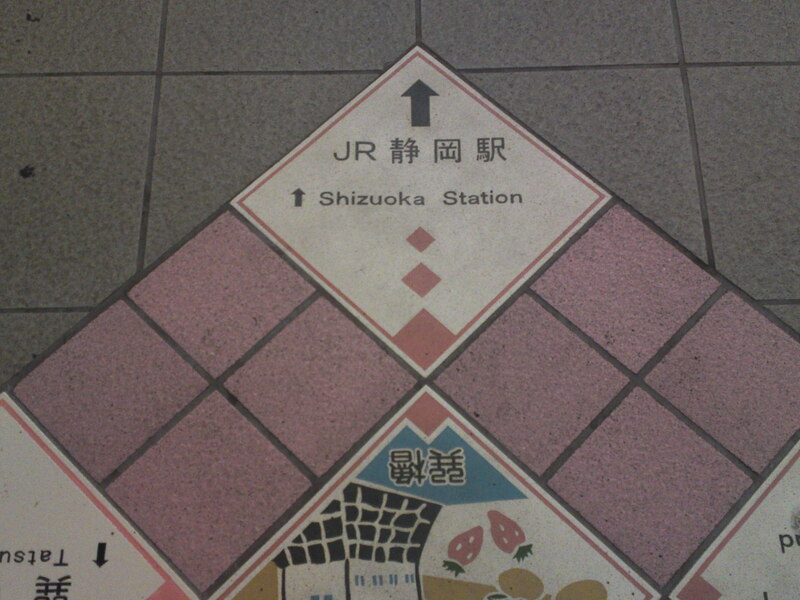 Direction to Shizuoka JR Station! 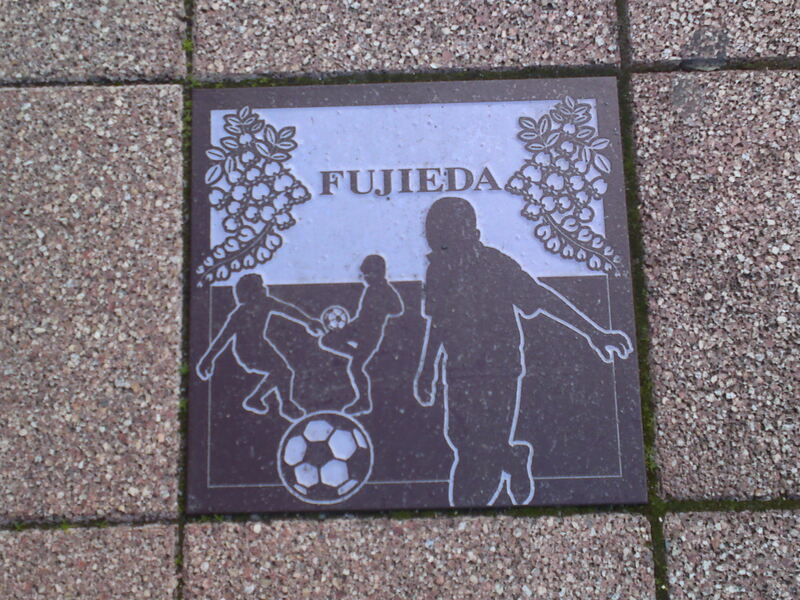 The City of Fujieda City reminds visitors it is the birthplace of soccer in Japan! 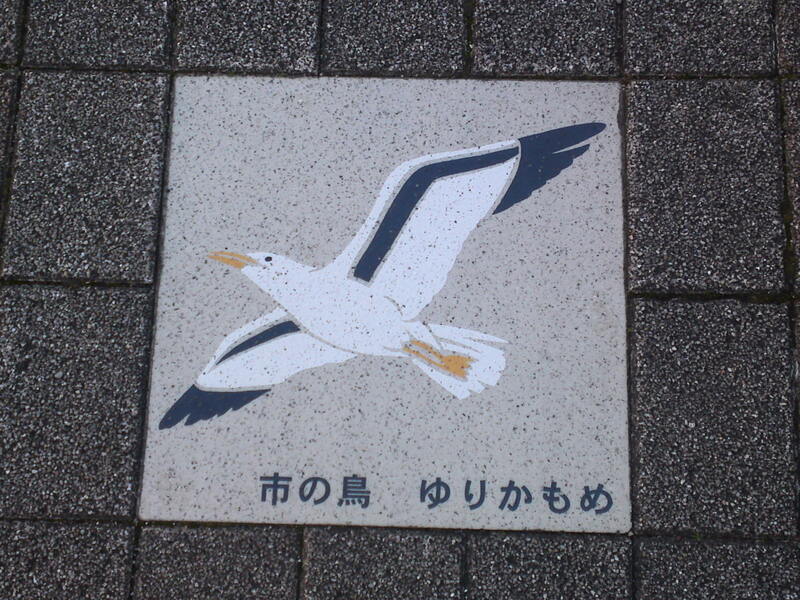 A mejiro bird in Izu Nagaoka, Izu no Kuni City in Izu Peninsula! Care to join the chase in other cities?